I love burritos, but I'm sick of those kits that you buy in the store, and cook with mince, they're not that good, and I always find the mince too fatty. So I scavenged the internet, and came up with this. This recipe easily fed my 3 house-mates and myself. Yes I cheated buying store bought salsa, but i think the rest of the effort makes up for that, and you can substitute your favourite recipe. Also you can make your avocado into guacamole, I just prefer it plain. and most importantly some common sense, sharp knives, hot ovens, hot pie. Don't be a silly goose play it safe, play it smart. 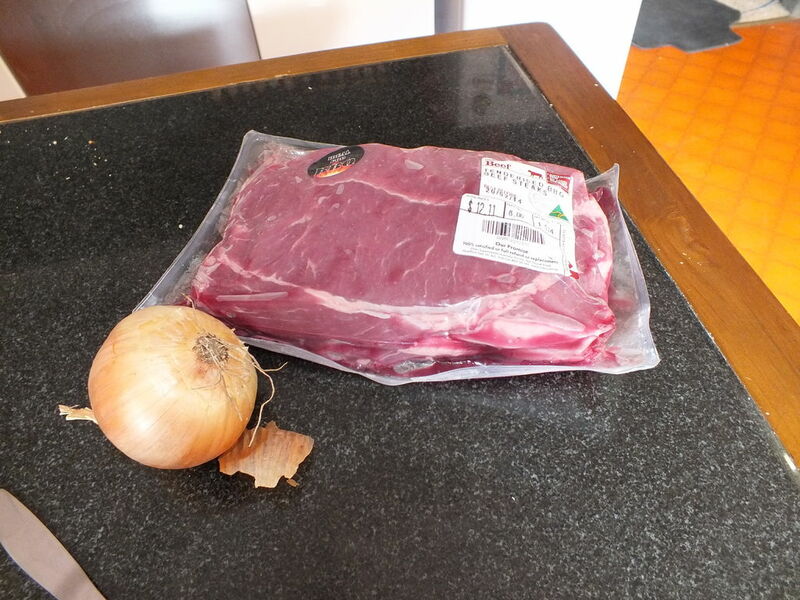 Take your beef and cook it so its just done and still tender. A few of the recipes I found say to slow cook the beef in a crock pot or pressure cooker, I tired this and overcooked my beef and just found it easier to pan fry it. Put your beef to the side to rest. Put your diced tomato, kidney beans, capsicum, crushed garlic, cumin, and paprika in the pan and simmer, add extra of the spices if you want, and if you're unlike me ad any chilli you want to make it hot. I like to mash my kidney beans up a little before adding them, I find it helps make it thicker and less chunky. While this is simmering shred you beef or cut it up into little chunks and add it back to to the sauce. Cook your rice till its nearly ready and add corn, black beans, cumin, paprika, coriander, and lime juice. Everyone can build their own. Yum, this all looks delicious! Now I want a burrito!